King Gustav the III, also called the ”Theatre King”, successfully combined the french rococo style with classical greek form elements and thus created a new style called Gustavian. In an exclusive offering Antique Scandinavia invites you to bid on these items. 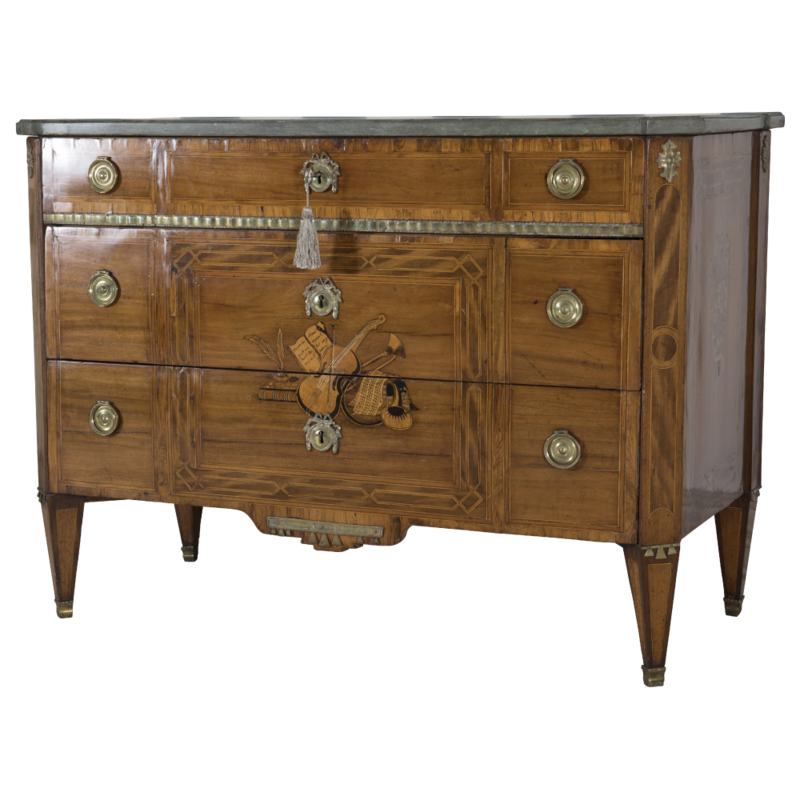 unique and rare example of Gustavian craftsmanship from the 1790's. This magnificent chest of drawers was made by Anders Lundelius, one of the most famous Swedish carpenters of the period, in the 1780's. 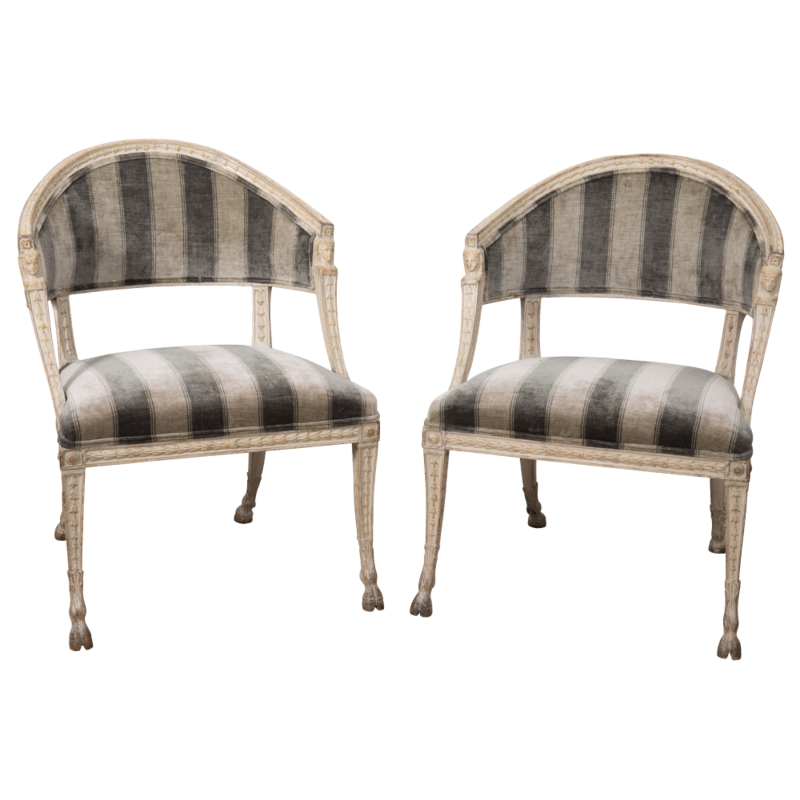 These two beautiful chairs were made by Ephraim Ståhl in the early 19th Century. 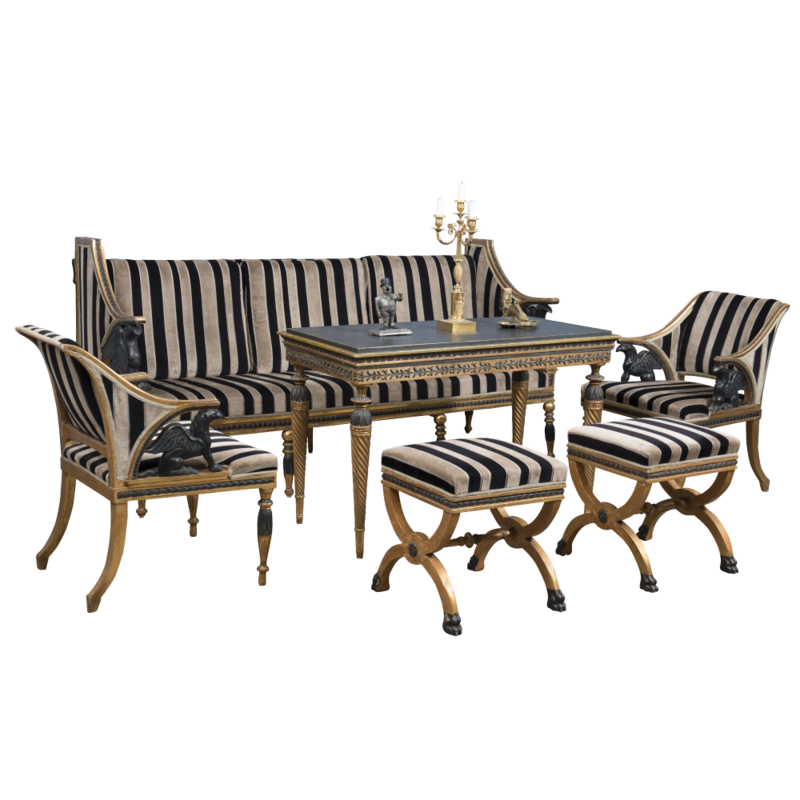 They are in the style called late Gustavian.